From cult running shoe to lifestyle status sneaker, the New Balance 998 has withstood the test of time—and “dad shoe” infamy—by remaining true to its Made in the USA roots. 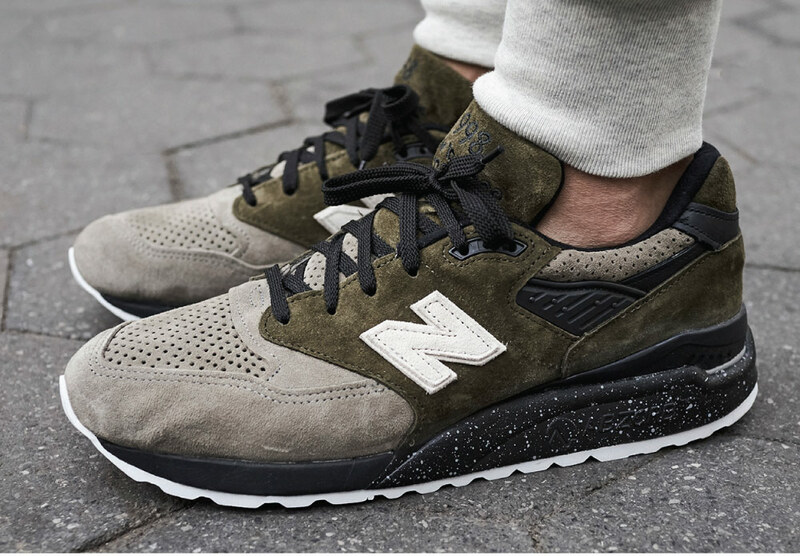 The last major athletic brand to make shoes in the United States, New Balance has established itself as a true American icon. 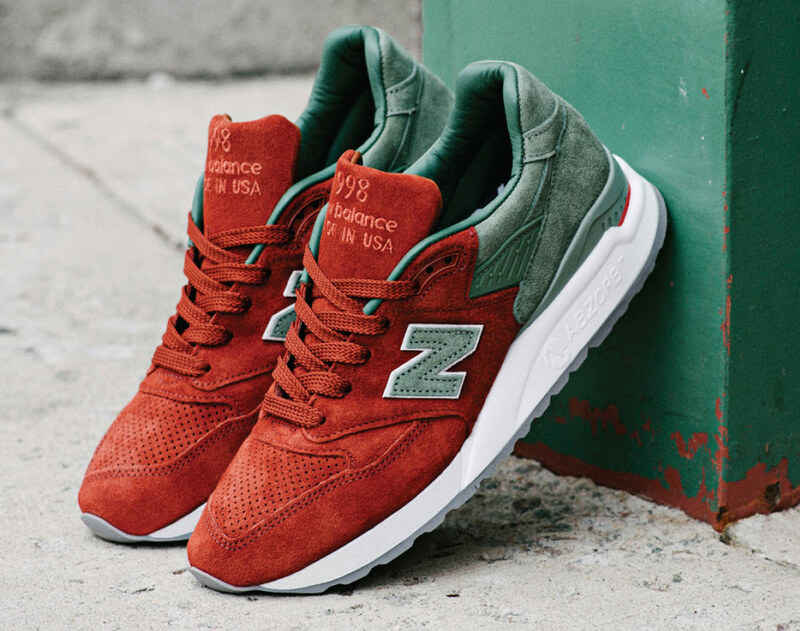 While 98.4 percent of footwear is imported according to the American Apparel and Footwear Association, the Boston-based brand continues to employ approximately 1,300 people and produce more than 4 million pairs of sneakers annually in its five stateside factories—including its iconic New Balance 998. A uniquely American shoe, the 998 embodies the diverse spirit of the company’s U.S. roots with an appeal that spans from laid back dads to cutting edge kids, from committed runners to cultural creatives. Unabashedly itself, with its chunky sole, humble silhouette and limitless colorways, the 998 evokes an effortless and egalitarian style that is a hallmark of American cool. The gray-on-gray 998 debuted in 1993 with an aim “to be the ultimate product in the New Balance running line,” according to Gardner. Building on the success of the 99x series and updating the famed 997 designed by “dad shoe” originator Steven Smith, the 998 introduced New Balance’s proprietary foam-based polymer Abzorb cushioning in the sole unit and integrated a stereo equalizer inspired support strap and a variable speed lace top eyelit for fit customization. “Air might have had the flashiness, but Abzorb in the 998 made it an iconic and beloved runner,” says Matt Kyte, a New Balance connoisseur who has illustrated every NB 1500 colorway through his 1500 Archive project and runs Contra, a contemporary fashion boutique in Brisbane, Australia. “Well before its newfound status as a lifestyle shoe, the 998 was a cult classic amongst diehard runners, who often have a penchant for stubborn dedication to certain sneaker models,” he says. When the 998’s big brother, the 990, hit shelves in 1982, it was the first athletic shoe to reach the $100 mark—a price tag that accompanied New Balance Chairman Jim Davis’ challenge to designers to make the most innovative running shoe in the industry. 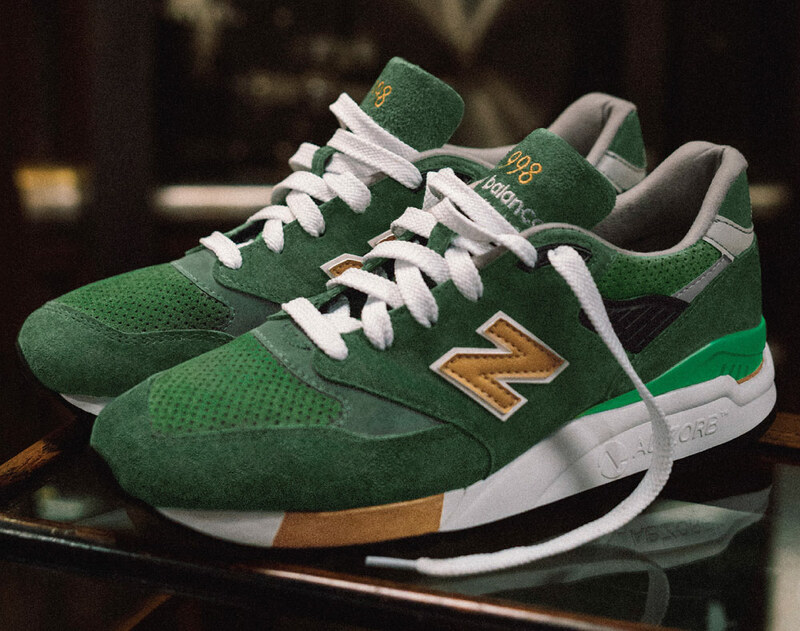 While critics doubted a sneaker could sell for that much, no matter the technical innovations, New Balance doubled its first-year projected sales of 5,000 pairs within half a year and has since sold over 10 million pairs, earning the 99x series its cult status. As a lifestyle shoe, the 998 now captures American individualism and DIY spirit through its limited-edition collaborations, which in addition to Todd Snyder’s recent “Dirty Martini” and “Black and Tan” renditions, have included multiple programs with J. Crew; the 2015 Ronnie Fieg x New Balance 998 “City Never Sleeps” shoe inspired by the energy of New York; and five collaborations with Boston-based Concepts International, notably the 2013 hundred-dollar bill inspired “C-note” and the 2016 “City Rivalry” 998, an homage to Fenway Park. In addition to its seriously committed collectors, the 99x series has been adored by celebrities over the years, including Action Bronson (who even sports a NB tattoo), Kanye West, Ben Affleck and Hilary Duff. Yet New Balance has generally eschewed celebrity endorsements, instead positioning itself as a brand for the people. It wasn’t until 2009 that New Balance began regularly endorsing athletes following years of using the tagline “Endorsed by No One”. This ethos is reinforced by the brand’s use of a numbering system rather than flashy shoe names, and its reputation for catering to all types of people, especially those with hard to fit feet. As a “thinking man’s shoe”, it’s no surprise then that one of America’s most celebrated geniuses became the unofficial mascot of the 99x series. While the late Steve Jobs’ signature style of black turtleneck, denim and New Balance certainly aligns with the “dad look” that the 998 is often equated with, Snyder points out that Jobs is, in fact, the epitome of cool. “He was always one of the coolest guys out there. He didn’t fit anyone’s mold. He was a trailblazer who created his own uniform,” the designer says.